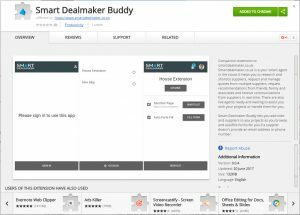 Smart Dealmaker Buddy is your FREE browser extension tool that will save you a lot of time and help you to manage your sourcing needs far better than any other method that we know of. It makes research, shortlisting, keeping notes, managing communications a breeze. Everyone hates having to deal with online enquiry forms. Not only having to deal with the repetitive task of entering your contact info but specifying your specific requirement and many forms don’t allow you to upload your attachments relating to your project. On top of that, how do you remember what forms you have completed and when? In order to be an astute purchaser, you should always obtain at least 3 written quotes for every project. To do that you probably need to contact 5-8 companies to obtain three quotes that meet your time-scale and budget. Now if you are dealing with a complex project that involves many companies such as an event or a building project. Using buddy will not only save you a heap of time but will make managing the process far easier.